Coffee and its health benefits (or lack thereof) continue to be a been a subject of debate. Many believe that drinking coffee—in measured quantities—has multiple health benefits. Like many other plant derivatives, coffee has proven anti-oxidative and anti-inflammatory effects. However, if you’re a coffee drinker who also struggles with acne, you should always drink it black without added sugar or milk. It's also a good idea to avoid adding any sugar or carb-heavy snacks (like breakfast muffins and baked goods that look we admit, look quite appealing at coffee shops) with your coffee order. If you find yourself in need of a caffeine boost, coffee is certainly the better choice over other caffeinated beverages such as sodas and energy drinks, as they lack the protective substances found in coffee and tea. 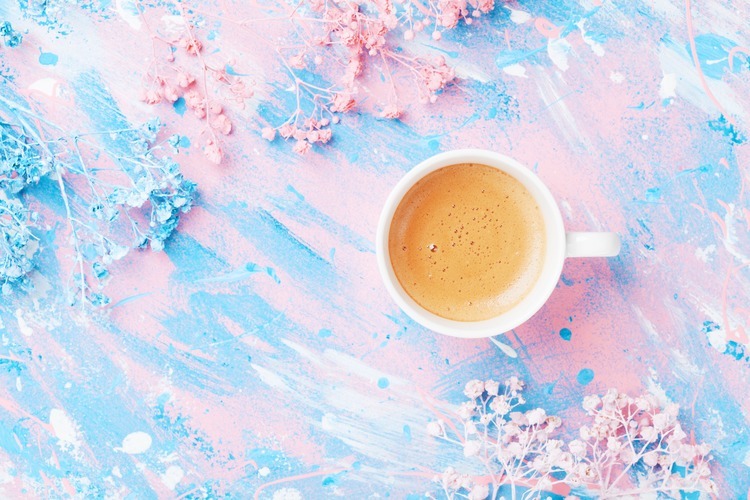 Contrarians would point out that caffeine increases androgen release, and if consumed in excess, causes stress, which in turn increases the risk for acne breakouts. Therefore, if you need your coffee fix but struggle with acne, keep it black...no milk, no sugar, no cookies, and certainly no more than 3 cups a day (though try to keep it under 2!). If you notice you’re still getting breakouts, consider removing coffee altogether for some time and seeing if there are any effects on your skin.